Graeme, Melanie & Rob – Next Best Thing! Next Best Thing is a trio featuring beauty, brains, talent, youth and experience playing classic hits from the 60’s onwards. Melanie is our main vocalist and plays keyboard, Graeme and Rob play guitar and bass, while drums and other instruments come from an iPad – Rob programmed them at the NBT studio. We love to sing harmony. Next Best Thing is a self-contained act equipped with a sophisticated Bose™ compact sound system that would suit a wide range of venues. We need only one power point and our volume control is not stuck on 11. You could hire us for your next “big zero” birthday party – we accept cash, Paypal, bank transfer, Visa, Mastercard or Amex. 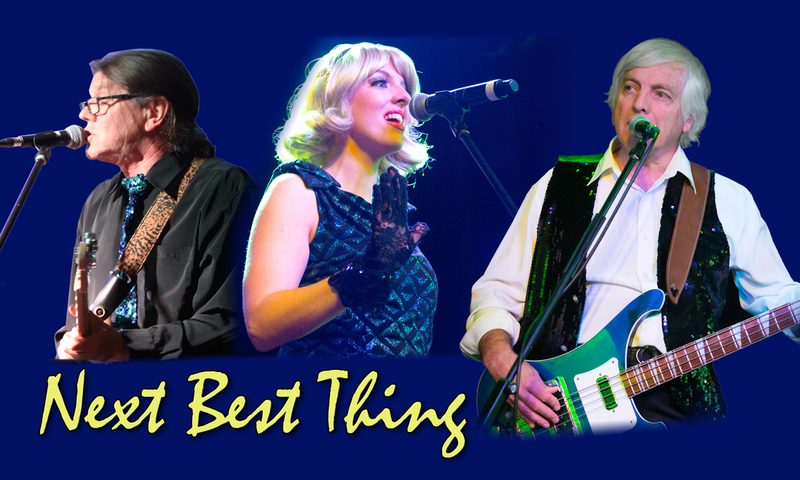 Next Best Thing is a trio based in Sydney Australia playing classic hits from the 60’s onwards. The list below shows where you can catch the group’s next few gigs. Unless otherwise noted, admission is free. Entry to Clubs is subject to the usual rules applying to members, their guests and visitors.